Renowned for being one of the most nicest and fun loving radio and television personalities, Marilyn Denis was born on July, 1958, in Edmonton, Alberta. She was brought up in Pittsburgh, Pennsylvania along with her three other sisters. According to her, the biggest influences in her life came from her parents. After graduating from high school, Denis enrolled herself in the University of Idaho where she got a bachelor’s degree in television and advertising. Denis’s career in broadcasting started when she was offered a job at a local radio station in Moscow, Idaho. There she became the first female disc jockey. Following that, she moved to Calgary where she held a series of different television and radio posts such as; music director, programmer and traffic reporter. In addition, she was also employed by “CFCN-TV” and “TSN” as an entertainment reporter and weather announcer. However her big break finally came when she gave the audition to co-host with Roger Ashby, in 1986. Despite the fact that dozens of other actresses and broadcasters had auditioned with her for the same post, Ashby has reported to say that just talking to Denis for a few minutes was enough to know that no one could be better suited for the job than her. From 1986 Marilyn Denis has been one of hosts of the, “Roger, Rick and Marilyn” morning show which is aired at Toronto’s number one ranked radio station, 104.5 CHUM-FM. In 2008, Rick Hodge departed from the show and it became known as the, “Roger, Darren and Marilyn” morning show. Alongside her radio broadcasting career, Denis has also built a name for herself on television. She first started her television career as a sports and weather reporter at CFCN-TV at Calgary. Alongside this, she was also employed as a freelance reporter for TSN. She has hosted multiple shows such as the Gemini Award winning series, “Live At The Rehearsal Hall”. In 1989, she also started hosting the talk show, “Cityline” which was aired on Citytv and A-Channel. She continued hosting “Cityline” for nineteen years and subsequently left in 2008 when Citytv stations were bought out by Rogers Media, which was a direct competitor of CTV Television Network, where she was also working at that time. Rather than working for competing channels, she decided to stick with CTV Television Network. In 2008, Denis revealed that she would be hosting her new talk show, “The Marilyn Denis Show” on CTV which subsequently premiered in 2011. The show which features lifestyle series quickly became one of the most popular Canadian television shows. 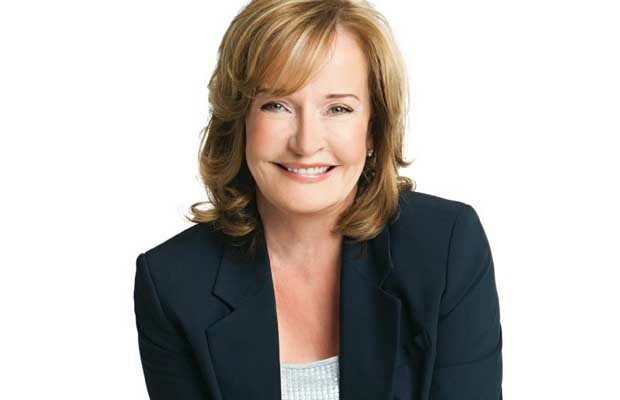 Marilyn Denis has also been the recipient of several awards such as the “Viewer’s Choice Award” at the Gemini Awards in 2005 and 2006. In 2006, she was given the “Rosalie Award” because of her contribution in radio broadcasting and in 2007, she won the award for “Best Host in a Lifestyle/Information series” at the Gemini Awards. Apart from her work, Denis keeps herself engaged in humanitarian work and charities. She is a proactive supporter in the campaign against ovarian and breast cancer and avidly supports the Colorectal Cancer Association of Canada. She also supports organ donation and was one of the first celebrities to become a member of SickKids Constellation. In her personal life she is divorced and has one son named Adam. And while she likes hockey, her favorite sport is football and she supports Pittsburgh Steelers.